Littlephant, his family and friends are at the center of the stories. Several books have been published in Swedish, Norwegian and Danish and translations to other languages are on the way. In the future we hope to offer you animated series and online games as well. The Littlephant adventures have only just begun and we hope you will join us on the journey. Littlephant teach you how to use numbers and to calculate in a fun and inspiering way! A book for kids age 2-5. 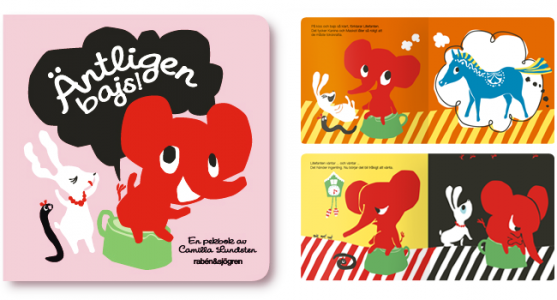 The book is published in Sweden (Rabén), Norway (Samlaget) and Denmark (Alvilda). If you want to buy the book, please contact the Publishing House for the language you are interresred in and they will guide you to where to buy it. Littlephant learn how to use the potty! A board book for the youngest kids age 0-2+. 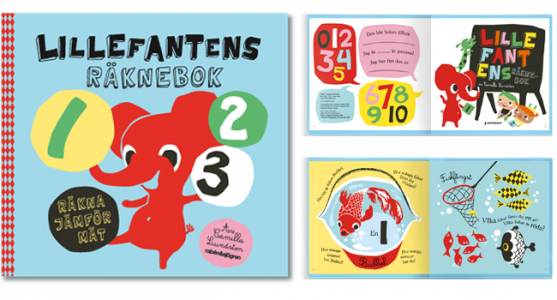 The book is published in Sweden (Rabén), Norway (Samlaget) and Denmark (Alvilda). If you want to buy the book, please contact the Publishing House for the language you are interresred in and they will guide you to where to buy it.